Day two in Chiang Mai started pretty early again. 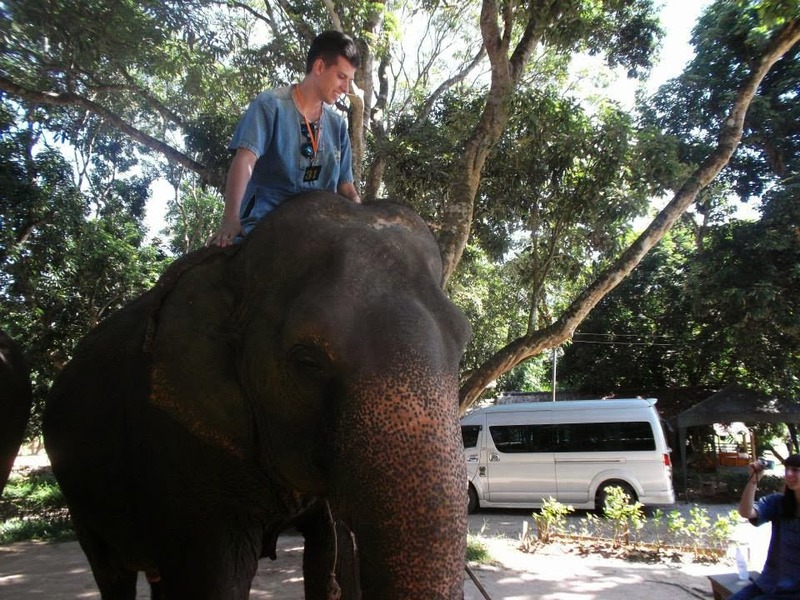 We had a pickup at our hostel at 8:00AM to go to Baanchang Elephant Park. Rick had booked this for us before we got to Thailand. It wasn't our first choice actually but we ended up being very happy with it. If you don't know me very well, elephants are my favourite animal, ever. Seriously. When I go the zoo, it is all for the elephants. And when we first talked about going to Thailand, this was always something we knew we would do. Safe to say, I was excited about this for awhile. Right when we got there, we were introduced to our guide for the day, Tom. He gave us a rundown for the day and instructed us to change into our new outfits. Everyone had to wear what Tom told us is traditional mahout clothing. 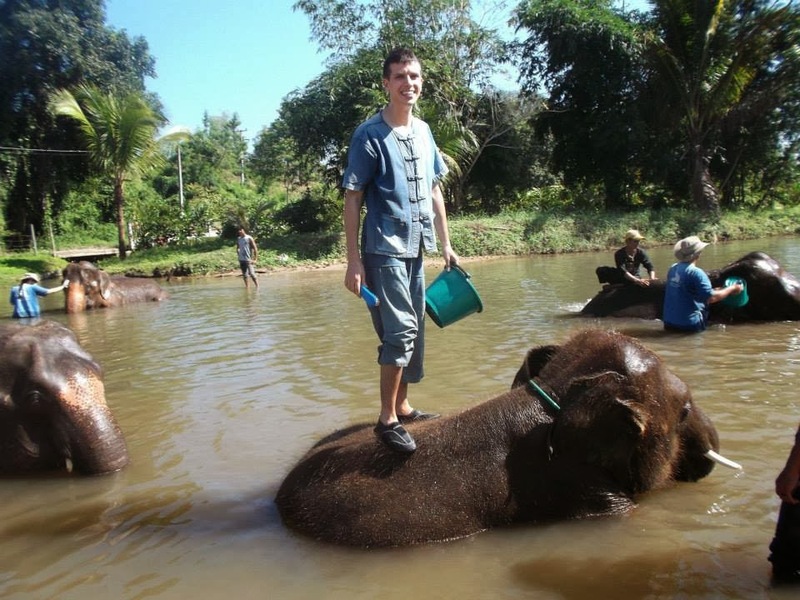 A mahout is an elephant trainer, they have their own elephant that they take care of 24/7. So we were all in our new clothes and we set off to feed the elephants their daily snack of bananas and sugarcane. I still think that feeding them was one of the highlights. Most of the elephants just wanted you to put the food near their trunks and then they would feed themselves. But a select few let us put the bananas right in their mouth, it was unreal. Once the elephants were finished their snack, we were taught the basic commands for riding an elephant. First, we were taught how to tell them to lay down so that we can get on top of them to ride them. Then we were taught how to tell them to turn right or left, go straight and stop. This was all in preparation for our hour long jungle ride on the elephants. We took a break for lunch and the food they made us was actually pretty good. I always assume that a free lunch means a bad lunch but this wasn't the case. 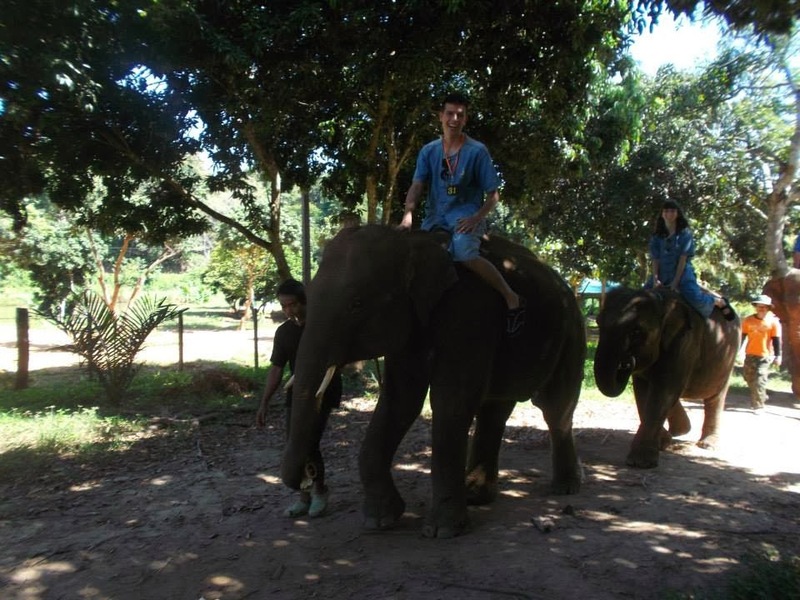 Next it was time to ride our elephants. 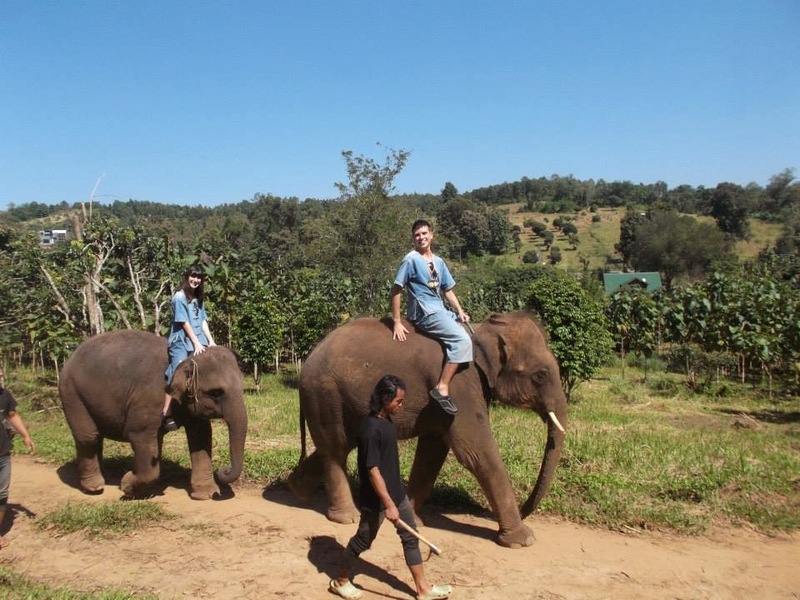 Rick and I had paid for an elephant each rather than riding one together. 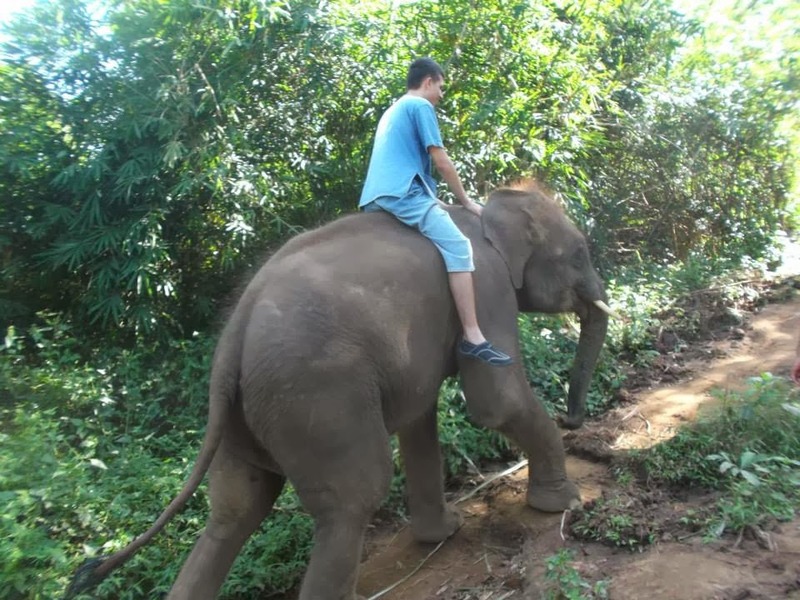 I was a little scared at the idea of riding this huge elephant by myself but still excited. The mahouts started bringing the elephants over and they brought over the cutest little baby. I said to Rick, "Oooooh!!! I really want the baby!!!" He assured me that it wouldn't happen, that there was no way they would let anyone ride the baby. And then it was like they called my name on the price is right; the baby was mine!!!! 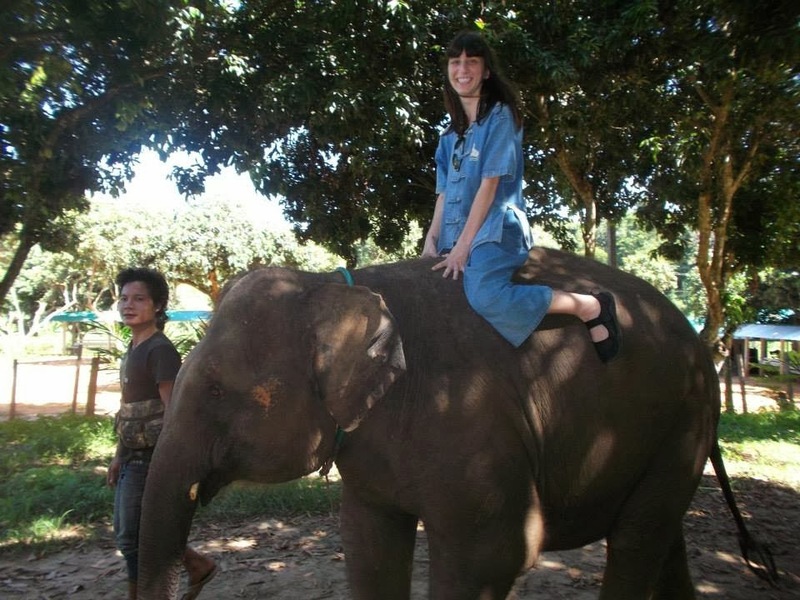 I was elated and less scared at the idea of riding a 10 foot tall elephant as opposed to a 25 foot tall one. Once we started riding, it was clear that teaching us the commands was just a technicality. The mahouts walked beside us and our elephants the whole time, leading the way and giving them directions. Rick says that his elephant did listen to his directions some times but who knows if I believe him.... Regardless, it was an amazing experience. While Rick was riding his, he got to feed him on the way. Both of our elephants decided to shoot water at us and we led our whole group. If the day had ended there, I would have been more than content but it wasn't over. 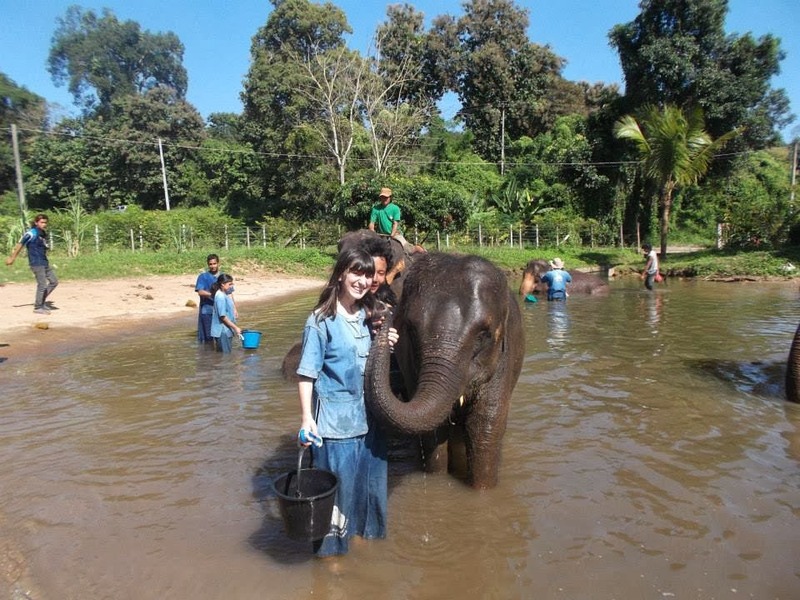 The final part of our day with elephants was bathing them. 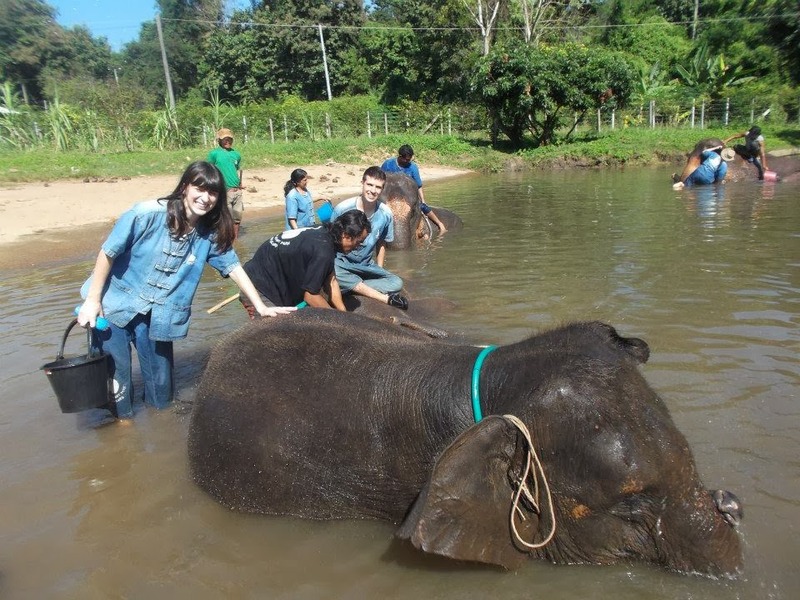 We all got into a lake and swam, played with, scrubbed, and washed our elephants. It was surreal. 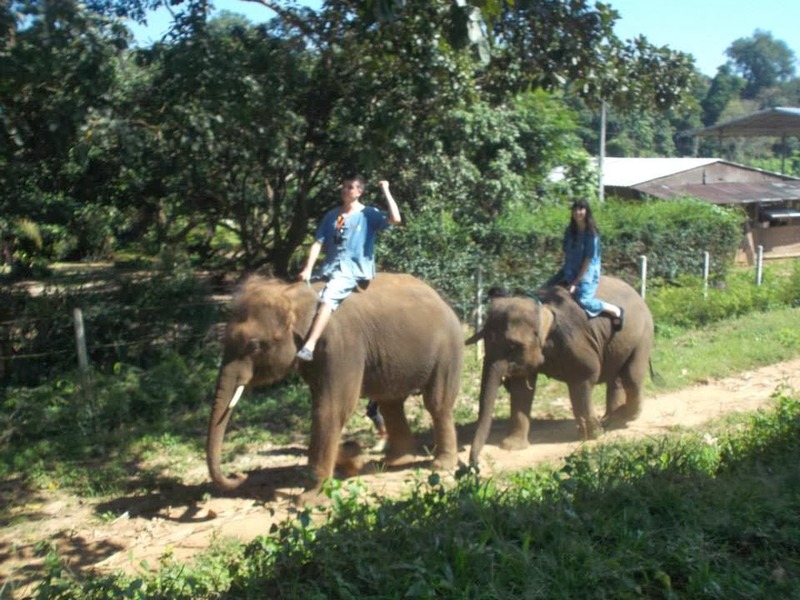 At the end of it, the mahouts showed us a little trick where the elephants spray us with their trunk. 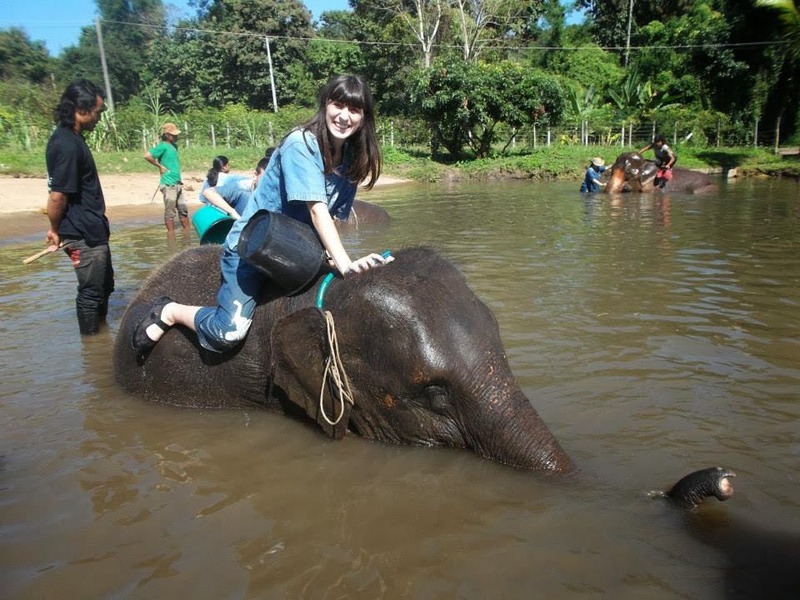 I would recommend Baanchang Elephant Park to anyone visiting Chiang Mai. 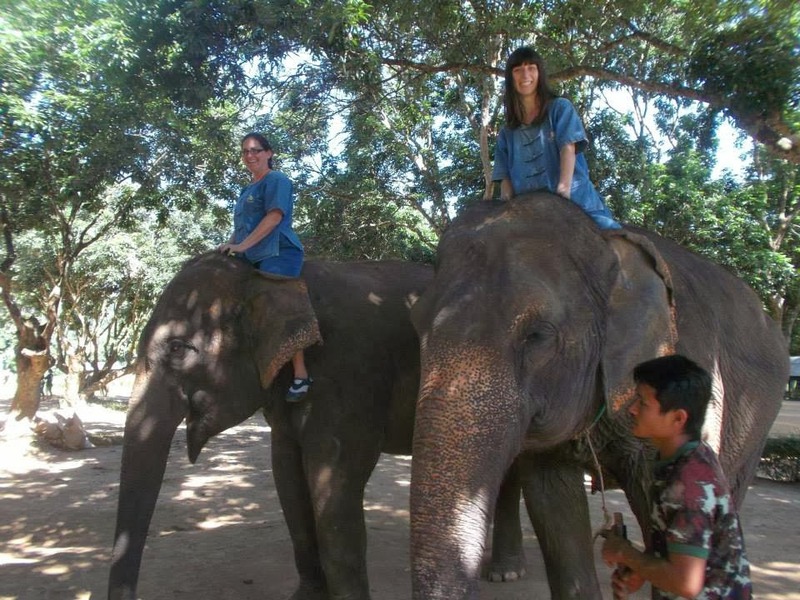 Not only was it a great experience but they do treat the elephants humanely there. Another bonus is that throughout the day, our guide was constantly taking pictures of us when we were in situations where we can't. 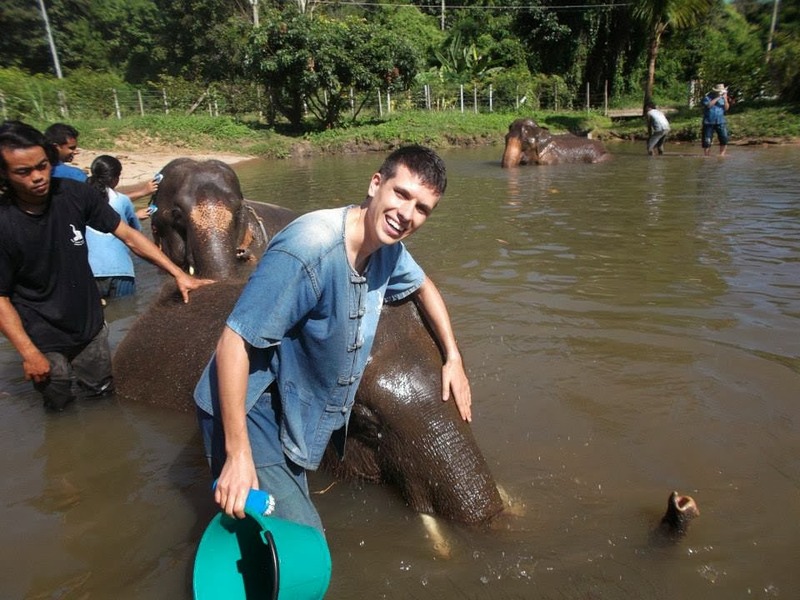 For example, Tom got some great pictures of Rick and I riding our elephants, and bathing the elephants. The pictures were put on Facebook by the next day, free of charge for us to download. 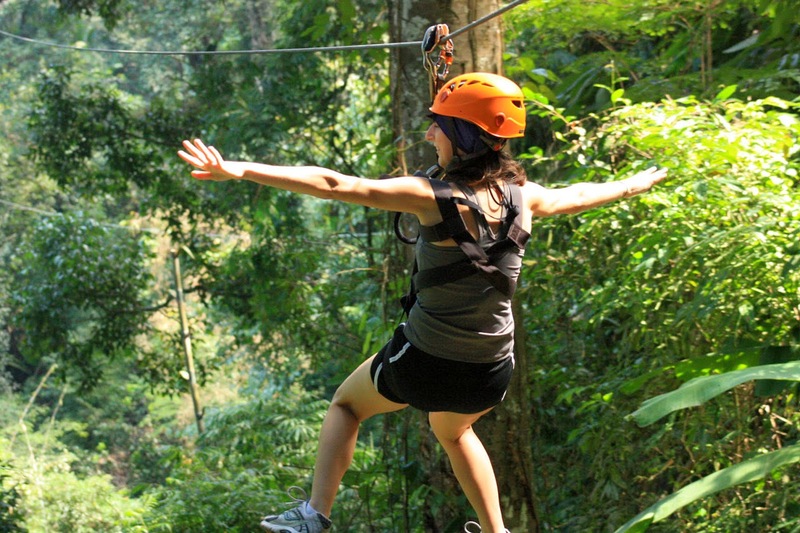 Our next day was fully planned with ziplining. 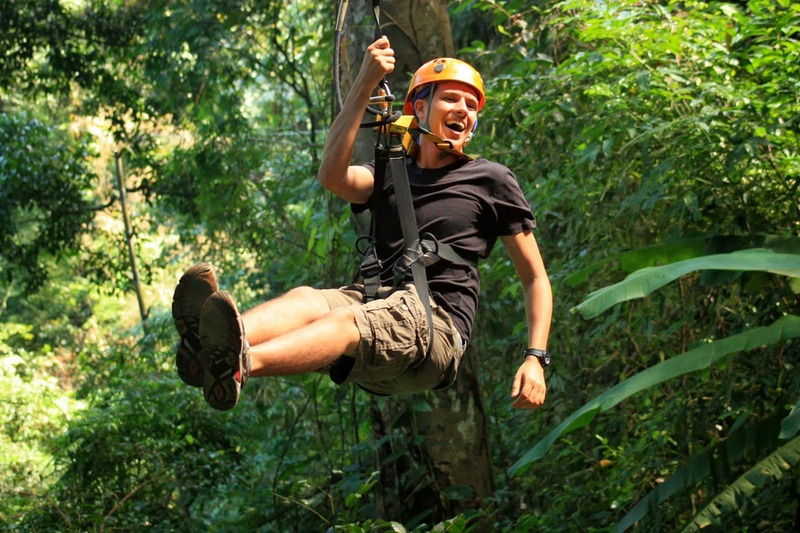 We booked with Flight of the Gibbon; which was the most expensive option but the entire experience was fantastic. They picked us up from our hostel which was convenient and they drive us back after we were finished. After our day riding elephants, our legs were in a lot of pain. We were both worried that our ziplining adventure wouldn't be as enjoyable but that wasn't the case. 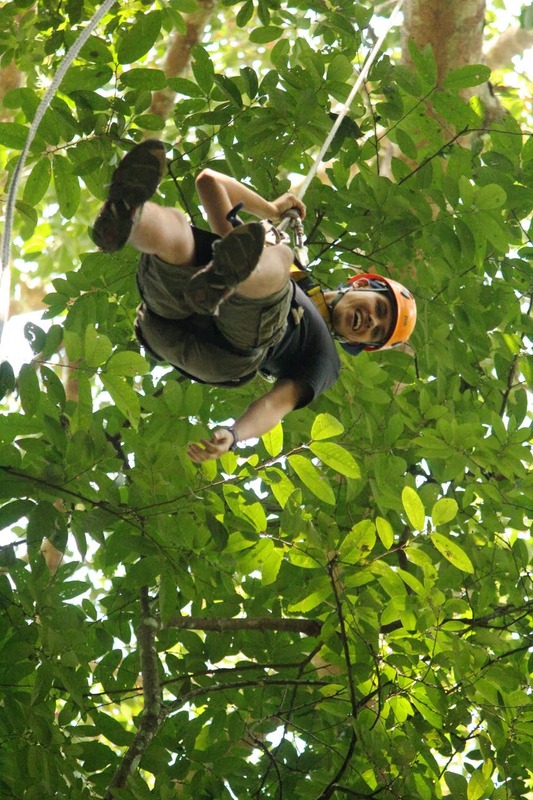 However, the day after ziplining, our legs felt even worse. Our group was small and we made a good friend named Laura. She was supposed to do the trip with her boyfriend but he had food poisoning, we had a lot of fun with her. It was a lot of fun and they don't really give you a chance to be nervous which was good for me. Our guide, Cash, was awesome. He was very funny and made the experience even better. 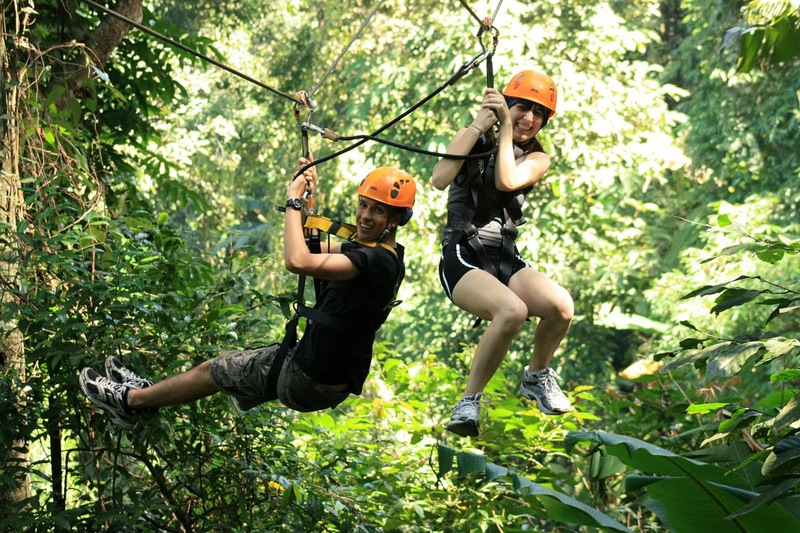 We ziplined for about two and a half hours and then they provide you with a free lunch. After, your group heads to a beautiful waterfall and a hike to take pictures. It was breathtaking but I was tired so I sent Rick off on his lonesome while I relaxed. 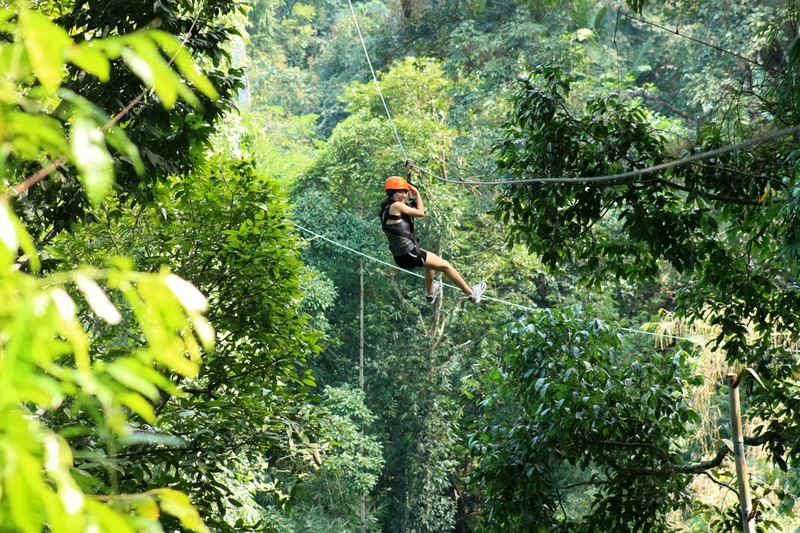 The only negative about ziplining is they take all these beautiful photos for you, and tell you they are free throughout the trip. Then, when you finish, we are told that only ONE photo is free and we can pay for them to upload them to a dropbox. We ended up buying it but I felt it was just a money grab. 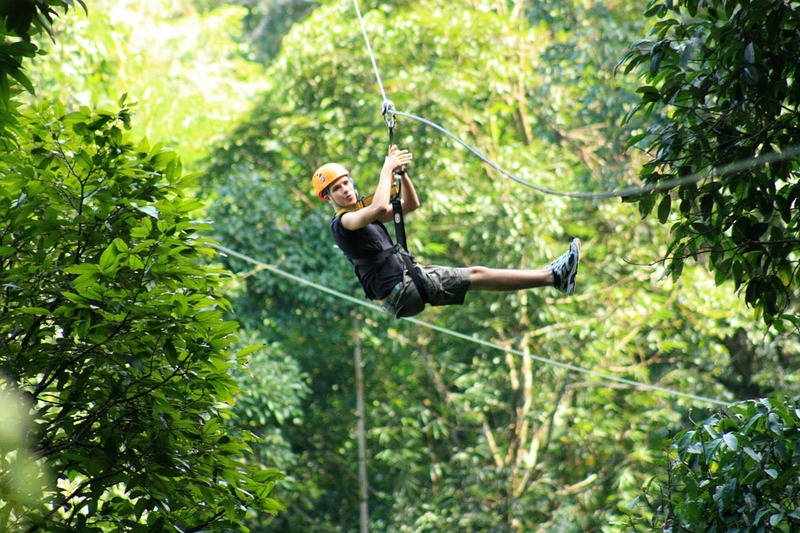 The ziplining is already pretty expensive, why not just offer the photos for free on their Facebook page like the Elephant Park? Regardless, the photos were nice. Maybe not worth the money we paid however since we also got our own photos. Here are some samples. After we decided to explore Chiang Mai a little more on our last night there. We headed to the night market and stopped a few times at some restaurants for a drink. The night market was nice but I think we would've been more impressed if we hadn't have been to so many night markets in Taiwan. While in Chiang Mai, we stayed at Your House Guest House. The location was great, the price was amazing, and the rooms were good too, especially for what we paid. Not to mention, the staff there was amazing. So helpful. On our last day, our flight was at 7AM so we had to be there an hour early. They couldn't find us a taxi so one of their staff members woke up at 5AM to drive us. I would recommend anyone to stay there.